When Sony launched the NEX-7 during August 2011, the company was responding to the challenge of the Panasonic Lumix G1. It is generally considered the first mirrorless interchangeable-lens camera (using the Micro Four Thirds system) that was able to combine exceptional image quality and portability and, therefore, fill the gap between expensive compacts and full-sized DSLRs. The NEX-7 answered the challenge with all guns blazing, sporting a 24.3-megapixel APS-C CMOS sensor, which was not only double the number of megapixels of the G1’s 12.1MP sensor, but also 1.6 times larger in size than the G1’s Four Thirds sensor. The NEX-7 also leaped ahead of the Panasonic G1 in terms of electronic viewfinder specs: a 2.4M-dot OLED electronic viewfinder compared to the G1’s 1.44 million pixels. In fact, at the time, many reviewers considered in the viewfinder on the NEX-7 has having the highest resolution of any EV they had ever examined. Sony definitely took the interchangeable-lens camera to a different level when it came to build quality, as it gave the NEX-7 a metal-shell body while the G1 is a tough plastic. The NEX-7 is smaller in two dimensions than the G1 and just 6 grams heavier, or 0.02 ounces, a clearly insignificant amount when you consider all the features Sony built into this rugged, little DSLR. With the large sensor and high-resolution OLED EV as well as a 3-inch, 921,000-dot tilting LCD and plenty of video features, which all contribute to great image quality and better-than-average performance, it’s no wonder the NEX-7 caught the eye of serious photographers, although the company’s marketing strategy was aimed at compact camera owners who wanted a better image shooter. Many of those difficult-to-please serious photographers were equally captured by the NEX-7’s exposure, color, sharpness and all the other shooting parameters that reveal a camera with high quality throughout. If the NEX-7 was expected to compete with the widely accepted APS-C DSLRs, then it had better deliver exceptional shooting speed. Sony didn’t pull any punches, as it equipped the NEX-7 with a 0.2-second shot lag, which was the best in its class at the time. JPEGs can be fired with a decent 0.6-second shot-to-shot time. Set the NEX-7 to full auto-exposure and you can crank 2.5 frames per second in continuous shooting mode, but that rate can increase to 10fps with exposure and focus fixed at the first frame. Clearly, the Sony NEX-7 is a standout performer when it comes to video, as exposure, tonality and sharpness are much above adequate. Image quality is definitely a plus in standard lighting as well as when the lighting is low. Because of its super-sized sensor, the NEX-7 allows for AVCHD Progressive video, recording in 60p, 60i or cinematic-quality 24p at 1920 x 1080 Full HD resolution. 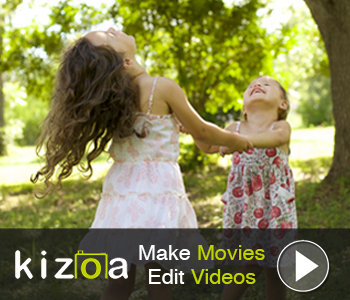 You can quickly view your latest video masterpiece on a compatible HDTV with the NEX-7’s HDMI output. With video content even more important today on social media, you have the option of shooting in the MP4 format to upload to Facebook, YouTube or any or favorite platforms. The NEX-7 also has a full array of features to spark your creativity, including 11 Picture Effect modes, Auto HDR and Sweep Panorama and 3D Sweep Panorama modes. Unlike many of its competitors, the NEX-7 is equipped with a built-in pop-up flash as well as a hot shoe that accepts all of Sony’s Alpha flash systems. Choose any of Sony’s E-mount lenses for the NEX-7 and, with the use of either of two optional adapters, the camera will accept all of Sony’s A-mount lenses too. Considering all that the Sony NEX-7 has to offer any enthusiast or hobbyist as well as serious amateurs and semi-professionals, a used model is an excellent value. To be sure your used NEX-7 is refurbished, fully functional, with plenty of life remaining and a 14-day no-questions-asked return policy and a 6-month, non-transferable warranty, then there is only one place to buy it – KEH.com, the world’s largest dealer of used cameras and photographic equipment. Not only will your NEX-7 perform to its optimum specs, but also you’ll receive the best in professionalism and support. 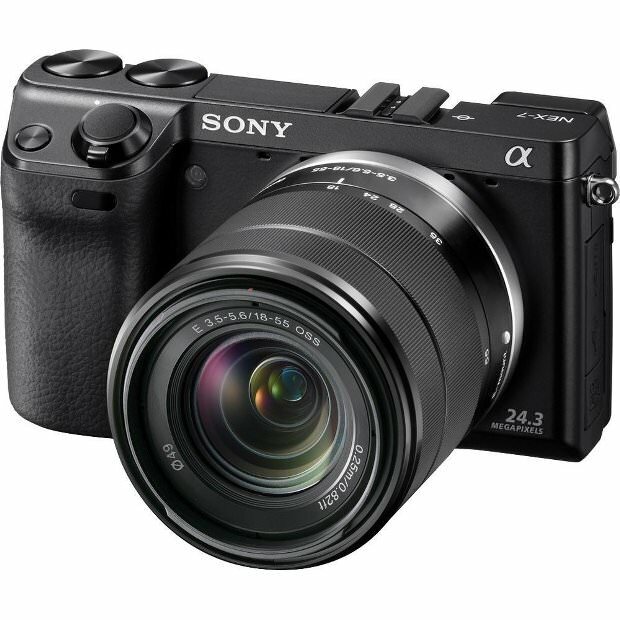 Click KEH banner to view prices on used Sony NEX-7 cameras with warranties OR if you want a FREE quote on selling your camera gear!